The allure of the turquoise waters is mesmerizing and sound of the waves therapeutic, as the white soft sand blankets the shorelines of Florida’s Gulf Coast. It is nature’s divine invitation to release every tension and transcend into a place of peace and calm. The ideal destination spot, which serves as the perfect getaway, is just a seven hour drive from Nashville. 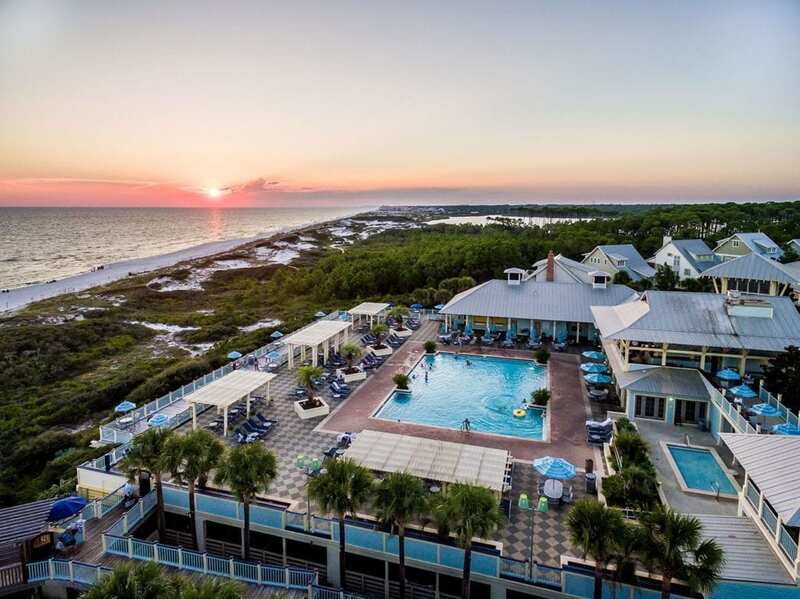 WaterColor® Inn in Santa Rosa Beach is adorned with chic décor, calming colors and exceptional service. Guests are treated like royalty in this beachside haven. Each room has a balcony overlooking the Gulf of Mexico, which can be enjoyed while sitting on the Adirondack chairs. The resort is tucked away within scenic pine forests, with picturesque views all around the property. No matter the age, everyone feels welcome. There are plenty of water and land activities accommodating all ages. Recommended is a bike ride on the trails alongside the pines on Western Lake, the state’s second-largest naturally occurring coastal dune lake. From biking to water fun, grab the paddle and set sail on a kayak, canoe, discounted pontoon boats, complimentary to hotel guests by St. Joe Club & Resorts®. Dining is a delight along the panhandle with fresh seafood galore. Enjoy some of the finest right on property. The Gathering Spot, which features Asian-inspired cuisine, serves up some of the most tasteful seafood entrees. The spicy Thai shrimp tacos, sourced from local Gulf fisherman, offers lightly breaded and pan-fried shrimp which is then tossed in a sweet chili sauce, adding some extra spice and smoke. A twist on a Gulf Coast classic, the shrimp are served over shredded cabbage and tortillas. “Through our many dining options at WaterColor Inn, we aim to provide a variety of cuisines for our guests that all highlight the best local seafood and ingredients,” Corporate Executive Chef Todd Rogers. Fish Out of Water is a Florida Trend Golden Spoon Award Hall of Fame recipient and Forbes Travel Guide four star rated restaurant that spotlights regional cuisine and locally procured seafood dishes infused with Southern flavor. An offsite location to consider is Trebeache, which offers beach style elegance, fresh flavor and clever creations. Located on the renowned County Rd 30A, the restaurant offers a diverse and intriguing menu. For starters, check out the oyster platter, offering three types of oysters. The shrimp and crab brings a delicate blend of flavors with toasted garlic, lemon and wine. The garlic butter and crisp pork belly is served with a warm spinach vinaigrette tossed in anisette. The enriching platter continues with yet another sizzling oyster topped smoked cheese and house made adouille. Save room for dessert. The strawberry shortcake is a fluffy, heavenly texture, topped with a cream that is not too sweet. The pistachio crème brulee is decadent, served with a biscotti. For a more casual experience, check out Stinkys, owned by the same management. The local hot spot is in high demand and doesn’t take reservations. The fresh “catches” can be grilled, blackened or lightly blackened and are served on sautéed vegetables and cubed potatoes. A must get is the seafood chowder which is loaded with thick cubes of crab. Ready to pack? Visit www.watercolorresort.com. Previous articleWhat is Composite Resin?